IT’S always interesting to nose around what other people are asking our public institutions under the Freedom of Information Act – so thanks to the New Journal’s Tom Foot (@tomfoot1 on Twitter) for pointing me in the direction of the disclosure log of the North Central London NHS Trust, an overarching body which covers five boroughwide trusts including Camden and Islington. 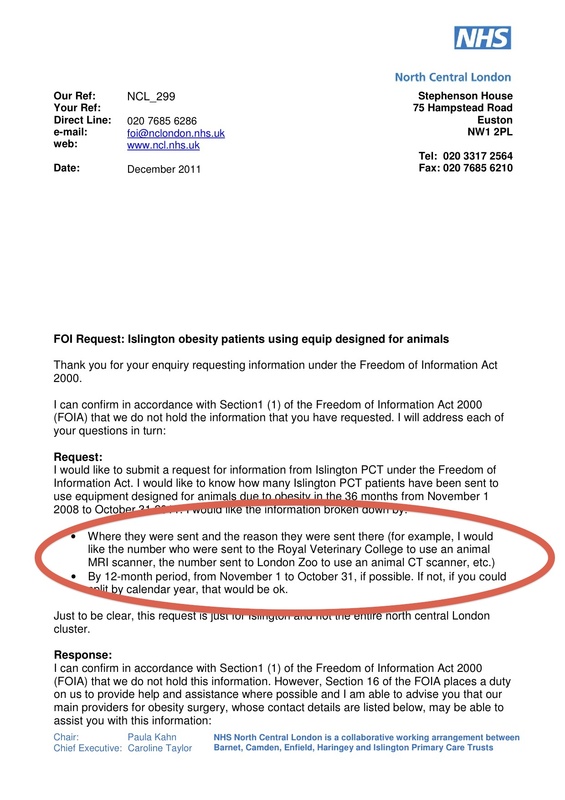 A demand, you will see below, whizzed through last month asking how many patients in Islington were so obese they needed treatment at London Zoo. London Zoo!! We do not hold that information, said the Trust. And we all drew a sigh of relief.